After a lot of discussion and much research on my sister, Margie's part, 2014 saw us take a major undertaking-the construction of a new house. 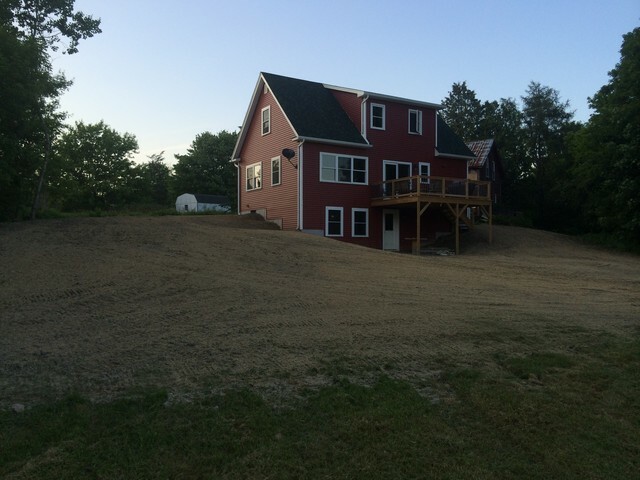 Margie found a design we both liked, we met with Skada Builders out of Westford, they scaled down the design to give us what we wanted and to make it fit our budget. Late August 2014 saw the construction begin. A joy to be a part of, we watched the process take place, working with Kari and Kaija in discussing possible changes as it was going up. Even before it was finished, it had the feel of home when you walked in. The feeling of ease and a sense of welcome that always existed in our old house made it's way to the new house. It was as if the spirits from the old house were moving in ahead of us. January 31. 2015 saw family and friends come and help us move in. A warm home, I don't have to worry about pipes freezing in the old cellar. Over two years later, I find myself looking around the place and I will find myself saying aloud, "I love this house."